Anyone else as much into alliterations as I am? Probably not. But with my holiday in France coming up, sun-related alliterations are all I can think about. Beach, bikini and … Hm. Suggestions? Brazilian wax comes to mind, but that is just my to do list bothering me I guess. 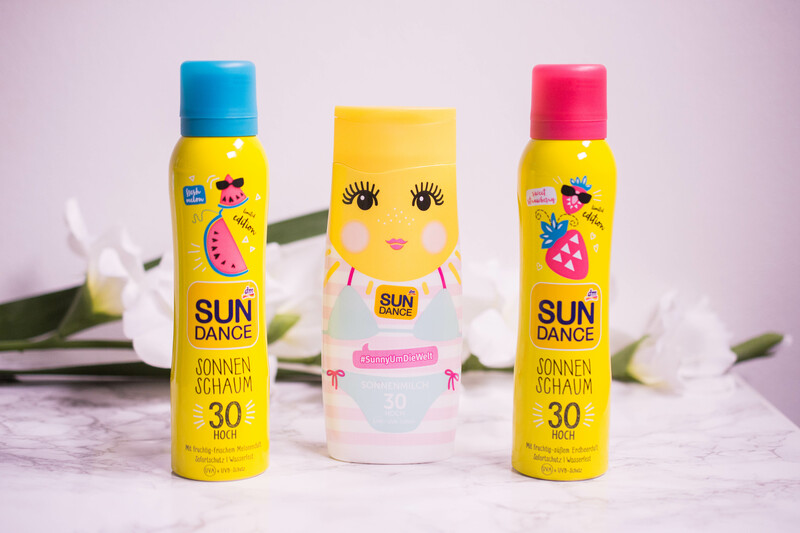 Back to topic: Even though you should of course apply sunscreen all year round (Yes, mum!) new releases are usually a summer thing. And as I happen to have quite a few here on my desk, I thought I´d share a few options with you. Let´s talk face first and work our way downwards. In a non x-rated way of course. 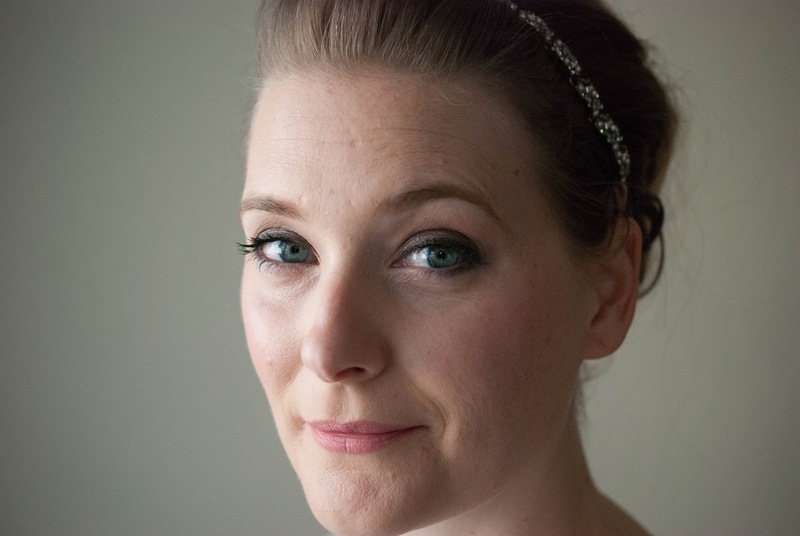 I wear an SPF as a base for my makeup every single day, so I prefer it to be lightweight and non greasy. 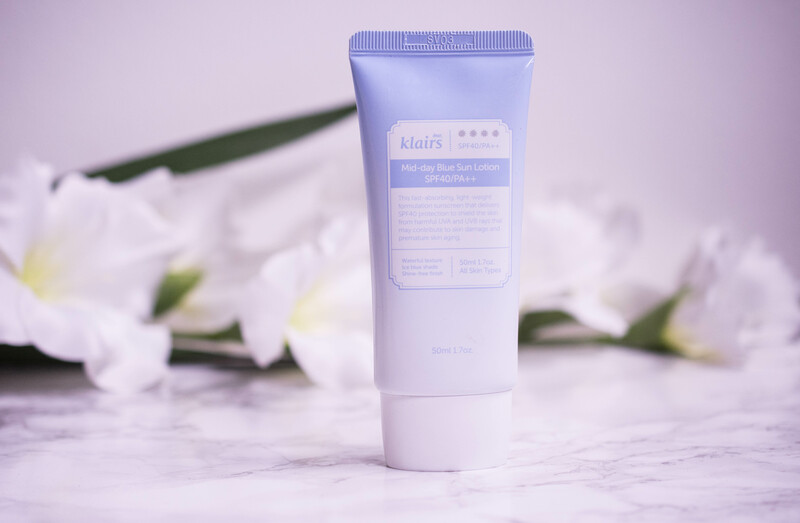 My newest acquisition is the Mid-Day Blue Sun Lotion by klairs, an Asian beauty brand. That Asian background explains the feature unusual to the European taste: It has a blue tint. Odd at first, you have to think of it as the SPF version of the lavender face primers you see everywhere, adding radiance to an otherwise dull face and toning down redness. When I apply it on my warm toned skin, it instantly brightens my complexion, but makes me appear less tan as well. Hydrating, more lightweight than your usual suncream and quite dewy in finish it works good under makeup, but will not replace my ISDIN Fotoprotector Fusion Water in the long run. It has to be noted that this lotion does claim to protect from infrared light and the warmth that ages our skin in the long run as well. Main Sunscreen ingredients are Titanium and Zinc Oxide, it contains no alcohol, but Niacinamide and a bunch of peptides and offers UVA as well as UVB protection. This is for the dew loving, dehydrated girls that prefer physical over chemical sunscreen. This is the one that feels most like a traditional suncream to me. It is not suffocating, but thick in texture and takes some time to work in. The mattifying claim is entirely false, it leaves my skin shiny and does not work too well under makeup, making it separate and fade much quicker than normally. 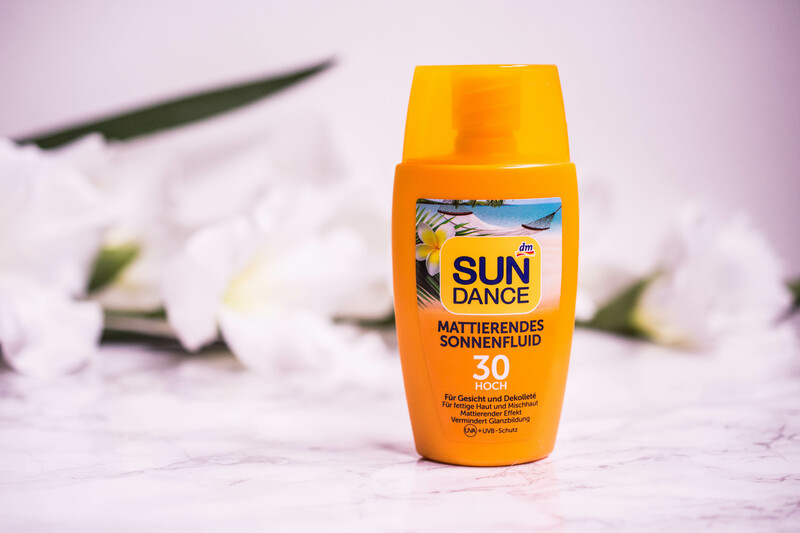 It is a sunscreen that I will use when I go to the beach, not for around town and everyday. Main Sunscreen ingredient is Octocrylene, it contains alcohol and offers UVA and UVB protection. One paragraph on Octocrylene as chemical filter: I don´t mind chemical sunscreens, I actually prefer using them over most physical. Octocrylene though is one that has a warning due to its ability to trigger contact dermatitis in the skin. I avoid applying it to my kids, but personally have used it for many years without problems. If there are other options, I will prefer them, but any sunscreen is better than no sunscreen in my opinion. 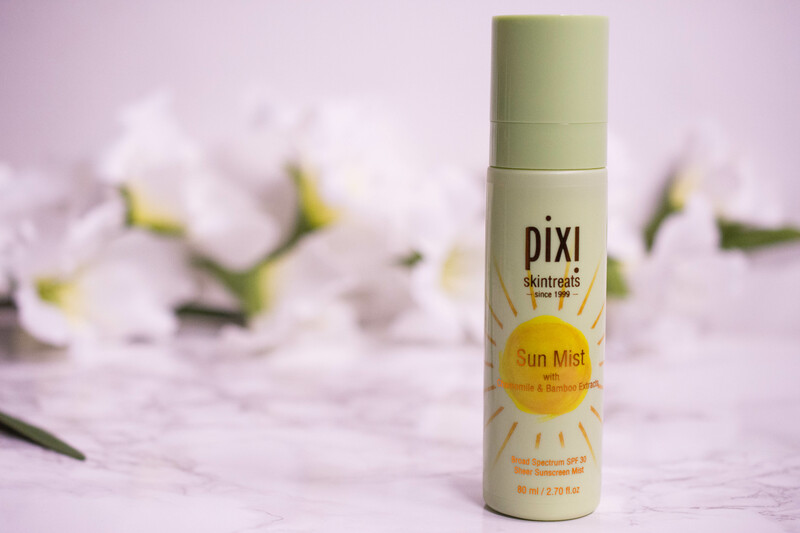 For top ups on the go I like to have a spray at hand, and pixi happened to release one that I knew I had to try. It has the perfect size for the handbag, it actually even fits my makeup bag. The only downside I can see is that the mist is not as fine as I would want it to be, I actually need to spray from quite afar to avoid ending up with white blotches on my face. It doesn´t happen all the time and is only a minor issue, but still something I wanted to tell you. Main Sunscreen ingredient is Diethylamino Hydroxybenzoyl Hexyl Benzoate, it contains alcohol and offers SPF 30 as well as UVA and UVB protection. Out of all the Sundance products, this one is my favorite. 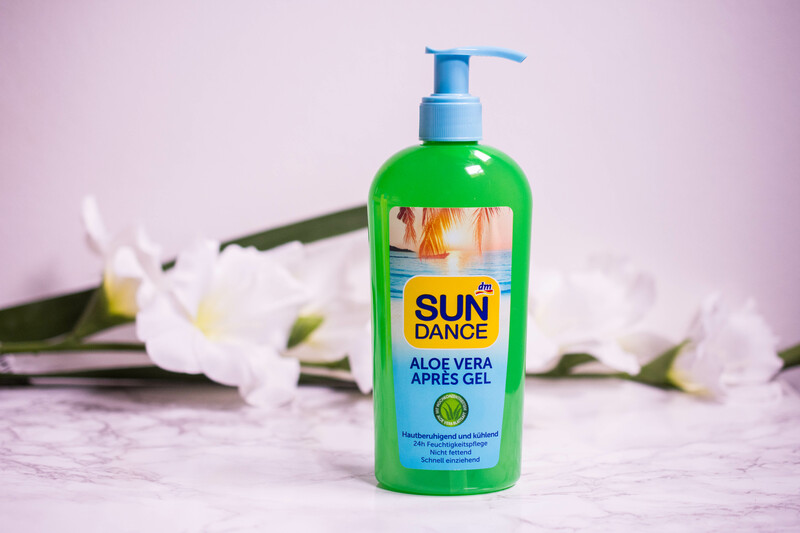 It is a no-nonsense sun milk, great to use at the beach and smells ever so slightly of coconuts, the SPF scent of my youth. It takes a little time to work in, but dries down completely without leaving a white cast. And it looks cute. Main sunscreen ingredient is Octocrylene, it contains alcohol and provides UVA and UVB protection. Colorful, fun texture and a great scent, a sunscreen my kids would happily apply every other hour, I assure you. Sounds great, but actually isn´t when you look at the ingredient list: Octocrylene, alcohol and perfume, three potential irritants all in one bottle. This is not a sunscreen that I would apply on my kids. I am tempted to use it on myself though, because the moussy texture really is fun to work with and they smell like something The Body Shop would sell. Let´s see if I am going to take the high road here and leave them at home or use them and explain to my kids that mommy can do these things because she is a grown up. What would you do? Cooling, hydrating and a huge bottle – This one will come to the holidays with us. The Aloe Vera content is actually very high, being the second item on the ingredient list, and it feels cool and soothing. Who doesn’t need hydration after a day at the beach? 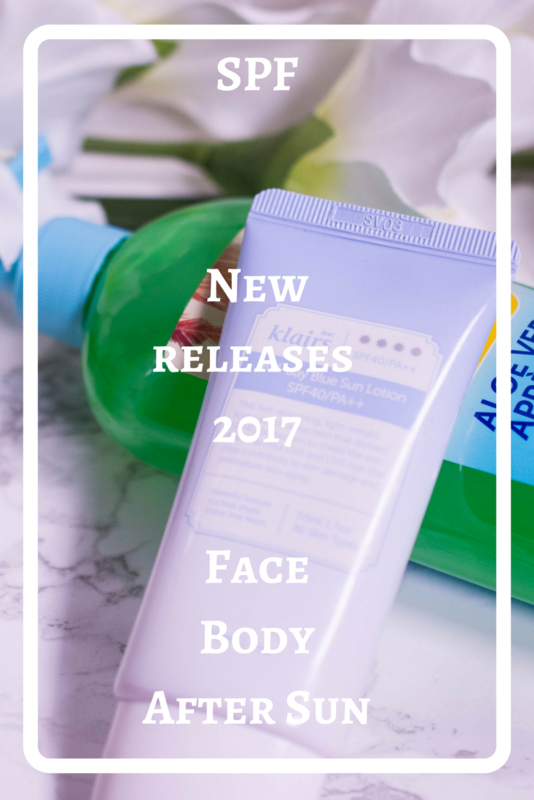 So many new releases, but is there actually anything that will replace my products of choice? I don´t think so. 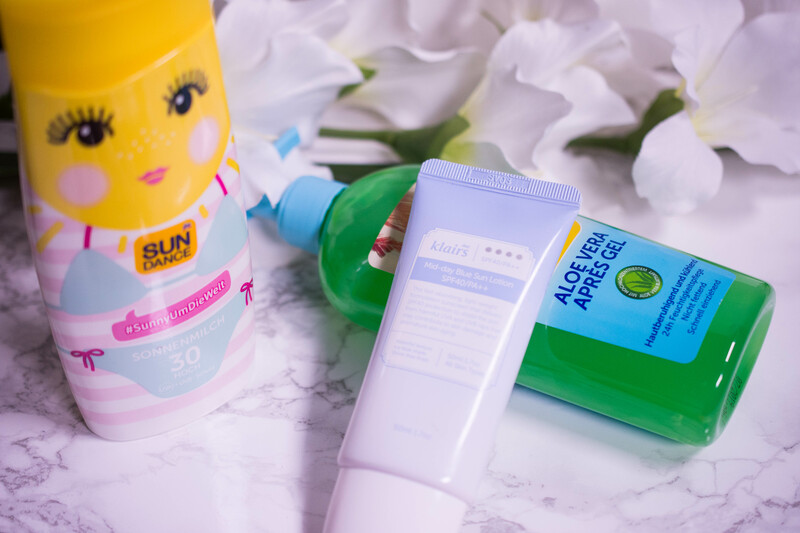 I will happily use the klairs sun lotion, the pixi sun mist, the sundance sun milk and the Après Gel this summer, but when it comes to repurchasing, my old favorites are still first pick. All products were sent to me by PR for consideration, but all opinions are honest and my own. Some links used above may be affiliate links.